1. 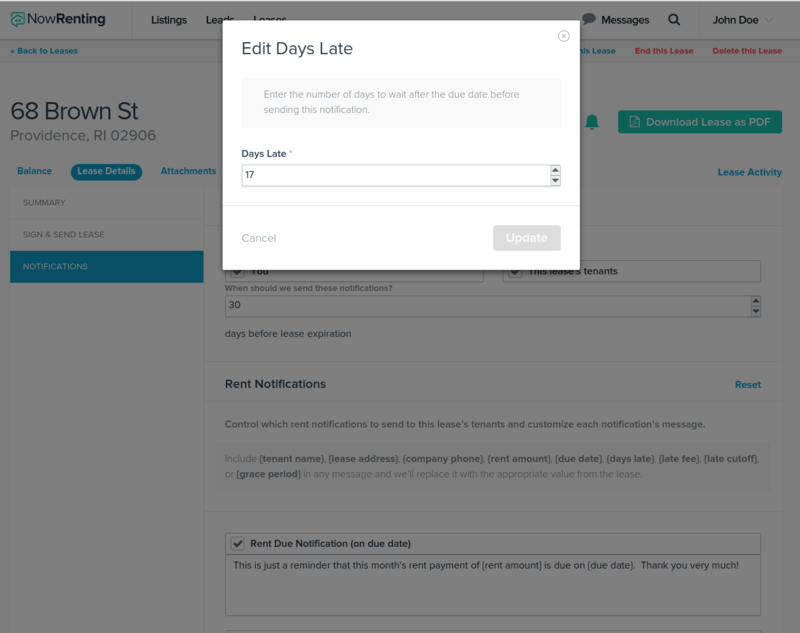 To edit your customized rent reminders, navigate to the Leases page by clicking the Leases link in the top navigation bar, then select the Lease you want to work with and click its Details link. Click the Notifications pill. 2. 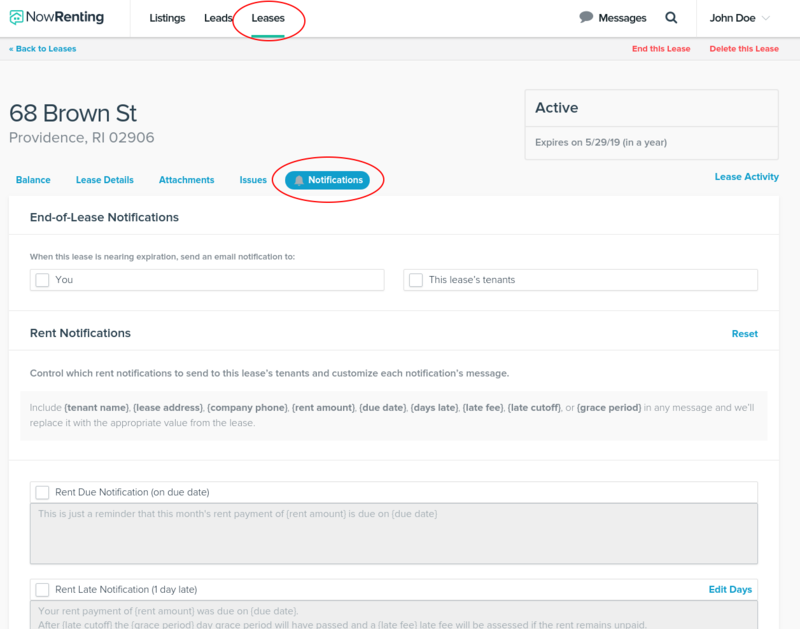 Each possible notification email is listed under Rent Notifications. Use the checkboxes to control whether or not the email will be sent. 4. 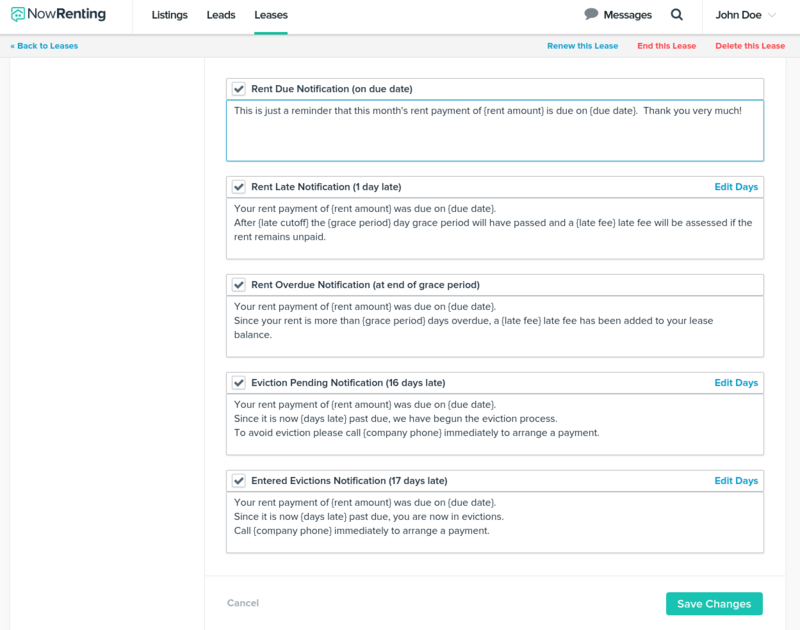 Our system will wait a certain number of days after rent was due to send each email. If the email has an Edit Days link, click it to set that waiting period. Note: the Rent Overdue Notification uses the grace period set in the Lease. This can be edited by clicking the Summary tab and then the Edit Lease link on the right. 5. You can see when an email has been sent by looking at the Lease Activity Feed. From the Lease details page, click the Lease Activity link on the right.